Bone Grafting Lubbock, TX | What is a Bone Graft? 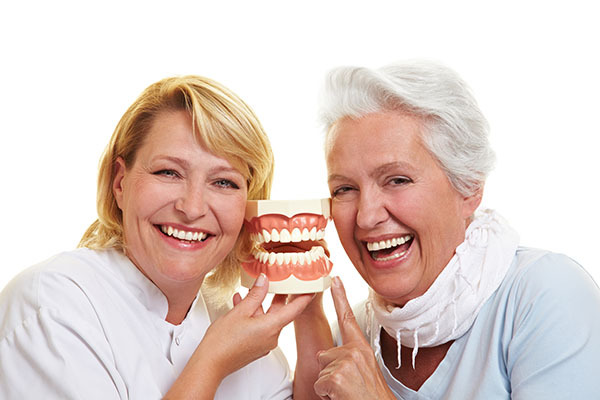 Dental implants are an incredible treatment used to replace missing teeth. While this unique treatment has a 98% success rate, they depend significantly upon the strength and volume of your jawbone. There are many factors that can contribute to bone loss, all of which affect your candidacy for dental implants. At High Plains Periodontics And Implant Dentistry , we can help to make dental implants a reality in the event of bone loss with bone grafting. There are several issues that can lead to bone loss in the jaw. When too much bone mass is lost, the jaw may be unable to support dental implants. Your jawbone may not be able to fuse properly to the posts, or even fuse at all. Poor fusion results in loose posts and unstable restorations, which can then result in implant failure. A bone graft is a surgical procedure that takes bone mass from one area of the body, or from a donor and transplanting it to the weak areas of your jaw. Bone grafting is also performed for ridge augmentations and sinus lift procedures. 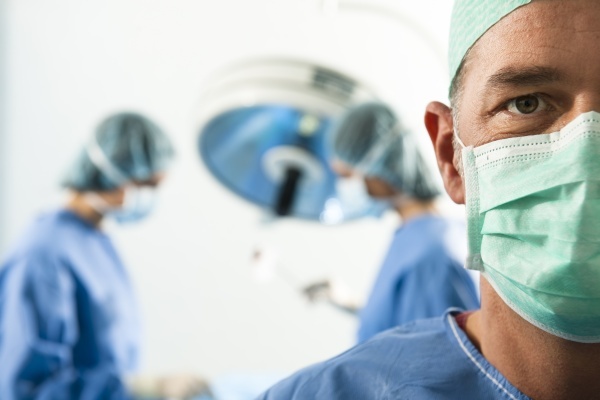 There are a few different types of bone grafts that may be used for your procedure. Autograft. An autograft is a bone graft that involves the use of bone mass taken from another area of your bodies, such as your hip or tibia. The benefit of this type of graft is that, because it uses your bone mass, there is no risk of rejection or disease transmission. However, an additional surgical site is needed. Allograft. An allograft uses bone mass from another human. The bone mass is taken from a tissue bank. Before use, the tissue is screened to ensure its safety and reduce the risk for complications. The major advantage to this graft is that there is no need for an additional surgical site. Xenograft. A xenograft uses bone material harvested from a non-animal source, typically a cow. The bone is processed at high temperatures to ensure safety. This type of graft is often used when larger amounts of bone tissue are needed. Again, there is no need for an additional surgical site. Bone grafting is done under a local anesthetic and sedation. We begin with small incisions in your gums to expose the weak areas of bone underneath. 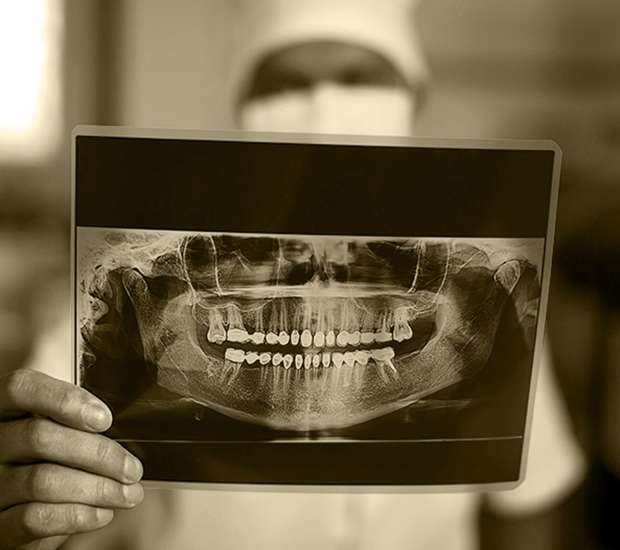 The donor bone, whether it is from your own body or a donor, is placed into the jaw. Before the gums are sutured closed, a specialized membrane is placed over the graft. The membrane separates the bone from the soft tissues and allows for undisturbed regrowth of your jawbone. It also serves to prevent soft tissue, which regenerates faster, from filling in the gaps where bone should be growing. Once you have fully healed from your bone graft, we can begin the process of placing dental implants. If you are interested in dental implants for replacing your missing teeth, but you currently lack the necessary bone density to support dental implants, bone grafting can help. Call High Plains Periodontics And Implant Dentistry today at 806-686-4366 for more information and to schedule your appointment.